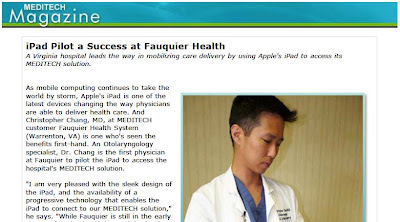 On Sept 8, 2010, a story was published in MediTech Magazine regarding how Dr. Chang has piloted the use of the Apple iPad with MediTech electronic medical records used in Fauquier Hospital. Click here to read the story (pdf document). 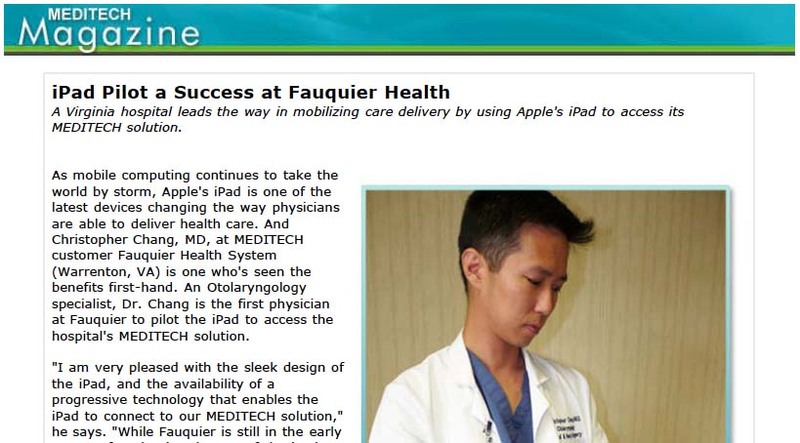 10/25/10 New Video Produced on Using MediTech on the iPad!